Accurate geocoding can be done using the googlemaps package which interfaces with Google’s Maps API. You will need to obtain an API key in order to use the service. See the documentation on how to do that. Of course, with a real data set we would need to geocode many addresses. Please be aware that the Google API service employs rate limiting and will deny further requests for 24h once you cross the limit of currently 2,500 requests per day. See this table for more information. We can see here that this address is located in the state of Berlin, and there in the district of Mitte. However, this information might not be accurate enough for your purposes. For example, data on neighborhoods is usually much more fine-grained. 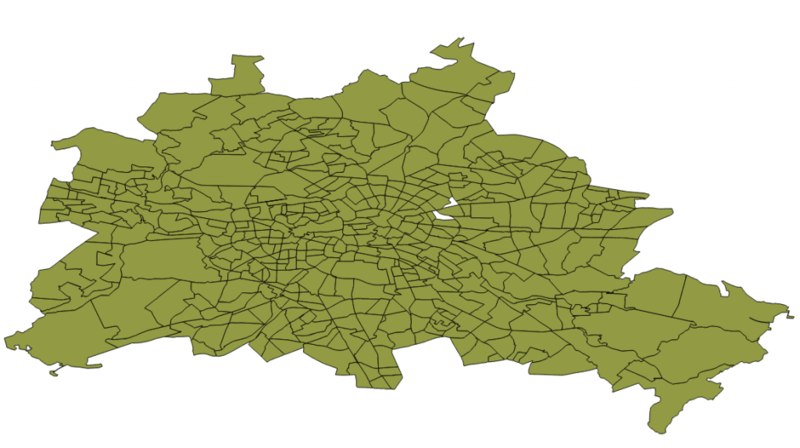 Geographic information of this scale is often provided by administrative authorities and might be available for download in different GIS formats such as KML, KMZ, GML, GeoJSON or Shapefile (.shp). Such files can be processed in Python with the GDAL package. GDAL stands for Geospatial Data Abstraction Library – a comprehensive software library for handling a wide range of geospatial data formats. We can use it to process the above mentioned GIS formats. Finally, install the correct package version in your venv via pip: pip install GDAL==2.1.3. 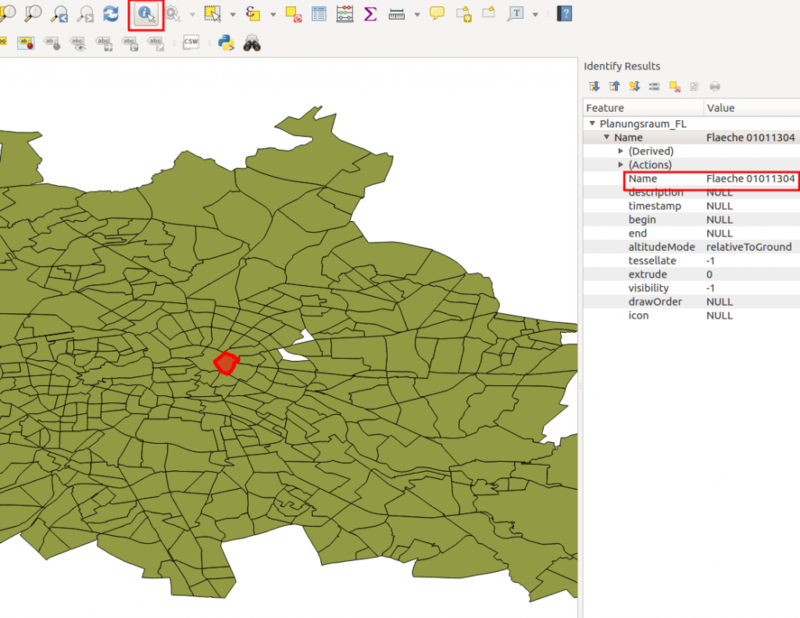 Let’s continue by using a GIS file which is provided by the Berlin Senate Department for Urban Development and Housing. We will work with something called Lebensweltlich orientierte Räume (LOR), which are hierarchical spaces reaching from 60 larger areas to fine-grained 447 neighborhoods in Berlin. Each of these areas (LORs) can be associated with a rich set of data, for example from the Berlin Open Data website. But in order to do so, we at first need to identify the LOR number of our addresses. We can do so by processing a GIS file which contains the LOR areas with their associated LOR number and checking which LOR area contains our given address, i.e. our already obtained geo-coordinates. The senate department provides a GIS file in KMZ format on their website. It’s important to note that this file uses the WGS 84 coordinate system, which is the same coordinate system that the Google API uses for geocoding. If our GIS file used another coordinate system than WGS 84, we would need to convert the coordinates before using them, otherwise any further processing wouldn’t work! >>> prints something like "<osgeo.ogr.DataSource; proxy of <Swig Object ...> >"
>>> prints something like "<osgeo.ogr.Layer; proxy of <Swig Object ...> >"
pt.AddPoint(coord['lng'], coord['lat'])   # watch out: first longitude, then latitude here! The LOR Code ‘01011105’ for the WZB address seems right since the hierarchical area names associated to this code are 01-Mitte, 01-Zentrum, 11-Tiergarten Süd, 05-Nördl. Landwehrkanal. use computation on all available CPUs via multiprocessing. More things that can be done with GDAL are explained in the GDAL / OGR cookbook.